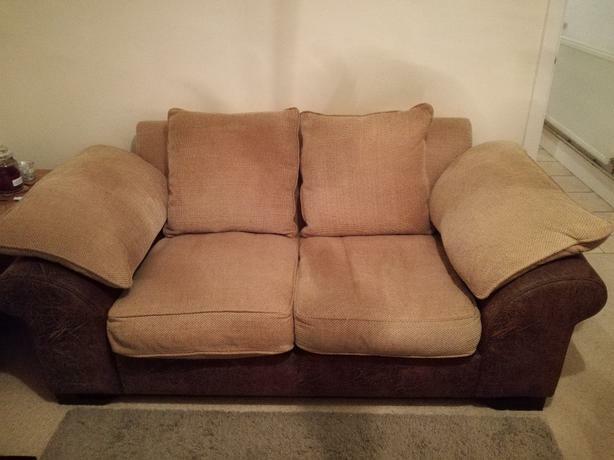 Large 2 seater that can fit 3 and matching chair. Brown leather base with sandy beige feather filled cushions.The cushions are reversible and washable for even wear. Sofa is 170cms long,102cm depth,74cms high. The chair is 102cms long,102cms depth,74 cms high. Good condition was very expensive when brought new from DFS.